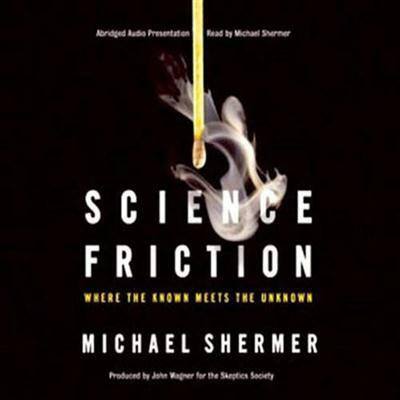 Science Friction: Where the Known Meets the Unknown (Audiobook) | Free eBooks Download - EBOOKEE! In Science Friction, best-selling author and Skeptic magazine publisher Michael Shermer pretends to be a psychic for a day...and fools everyone; as a psychologist and bicycle racer, Shermer reveals the science behind sports psychology; as a historian and evolutionary theorist, Shermer considers what was truly responsible for the mutiny on the Bounty; and as a son, Shermer explores the possibilities of alternative and experimental medicine for his cancer-ravaged mother. And a skeptic realizes that it is time to turn the skeptical lens onto science itself. In each of the essays in Science Friction, Shermer explores the very personal barriers and biases that plague and propel science, especially when scientists push against the unknown. What do we know, and what do we not know? How does science respond to controversy, attack, and uncertainty? When does theory become accepted fact? No comments for "Science Friction: Where the Known Meets the Unknown (Audiobook)".